Microbial environmental monitoring and bioburden testing involve collection, isolation and enumeration of bacteria and fungi (yeasts and molds) in air or on surfaces of equipment, workers, raw materials and finished products. Environmental microbial control is a requirement of all Good Manufacturing Practices (GMP). Mold & Bacteria Consulting Laboratories (MBL) can perform microbial identification work immediately on any growth observed. Microbial Environmental Monitoring Master Plan. 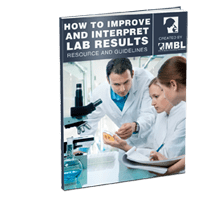 An experienced MBL consultant can work with you to design a program for your needs, including monitoring frequency, monitoring site selection, clean/disinfection results and location, etc. Alternatively, the MBL consultant can audit your existing program against current regulatory requirements and expectations as well as best industry practices. Contract Monitoring. A trained MBL microbiologist will conduct viable and/or non-viable microbial monitoring at your site. Alternatively we can provide the equipment for you to sample at your site and then we incubate, enumerate, and compile data on samples. Bacteria and Fungal Identification. MBL can help with identification of bacteria and fungi that that your in-house team may not be able to identify to genus or species. • Air Quality: Air quality can be determined by either volumetric sampling, in which a given volume of air is examined using an air sampling pump, or by passive sampling using settle plates. Settle plates give a measure of the sedimentation of microbial contaminants over time. • Surface Hygiene: This is determined by either swabbing the surface or pressing contact plates on those surfaces. • Personnel Hygiene: Depending on the sensitivity of the products being manufactured, it is necessary to take samples of operators hands (finger dabs) or protective clothing to monitor gowning effectiveness and hand cleanliness. Bioburden testing, refers to the number of microorganisms on a surface or within a liquid. Ingredients and process steps have bioburden limits. MBL microbiologists perform regular assessments of the bioburden as a part of quality control. 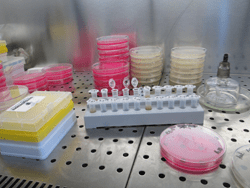 Microbial limits testing includes the quantitative phase of testing determining the bioburden of given manufacturing samples and the number of total aerobic organisms, yeasts, and molds. The test methods for conducting bioburden, including plate counting (pour plates, spread plates, and membrane filtration) and the most probable number technique.